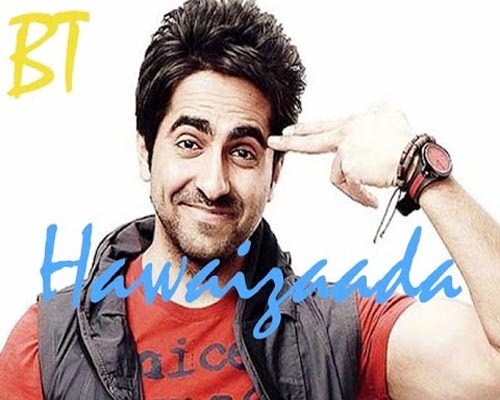 Bhopal - Madhya Pradesh government today declared a tax-free status for the Bollywood film 'Hawaizaada' which has been inspired by the life of Shivkar Talpade, a purported pioneer of aviation in India. "We have decided to declare the film tax-free," said Manoj Shrivastava, principal secretary, commercial taxes and culture. The film producers had applied for tax-free status. The producers said in a release that after Uttar Pradesh, Hawaizaada had now been declared tax-free in Madhya Pradesh as well. 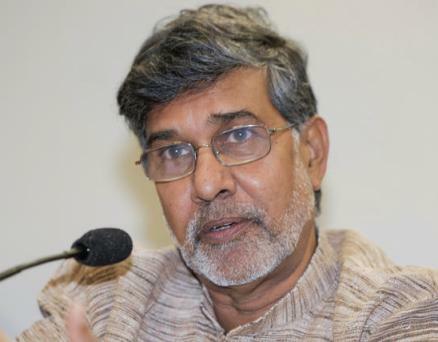 Vidisha (Madhya Pradesh), Dec 16 : Nobel Laureate Kailash Satyarthi on Tuesday termed the perpetrators of the terrorist attack on a school in Pakistan as 'enemies of Allah', calling the act itself a 'heinous crime'. "The terrorists who have committed this heinous crime are the enemies of humanity. They are the enemies of Allah, they are the enemies of society and they are the enemies of Islam. I pray that somewhere in their hearts, their conscience awakens," Satyarthi said at a public meeting here. "I pray that God gives the families of the victims the courage and fortitude to bear their irreparable loss," he added. Bhopal: Terming the United Nations' declaration to observe June 21 as 'International Day of Yoga' a "matter of pride" for India, Madhya Pradesh Chief Minister Shivraj Singh Chouhan on Friday announced to include yoga in school education curriculum. The announcement was made by Chouhan in the state Assembly soon after the session began here today. Chouhan said that on the initiative taken by Prime Minister Narendra Modi, the UN has decided to observe June 21 as the 'International Yoga Day' which is a "matter of pride" for India. 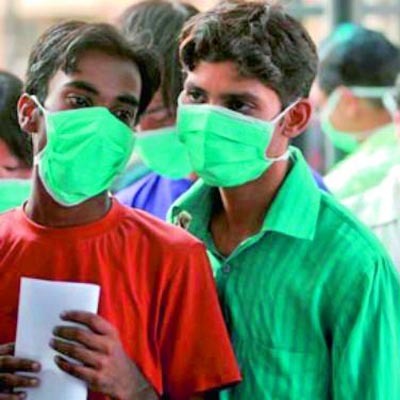 Indore - With a 25-year-old woman testing positive for swine flu, the number of those infected with the H1N1 virus in the district this year has risen to five, a senior health official said today. The woman, a resident of Manikbagh area here, was admitted to a private hospital on September 18 after she complained of cold and cough, Integrated Disease Surveillance Project (IDSP) district unit in-charge Dr G L Sodhi said. Her swab samples were sent to a lab where it tested positive for swine flu, he said. The woman's condition continues to remain serious, he said. Bhopal: Plans are afoot to set up the country's largest ultra mega solar power plant (UMSPP) in Madhya Pradesh's Rewa district, a senior official said on Thursday. The plant, to produce 700 MW of electricity, would require an investment of Rs 4,000 crore, State's Additional Chief Secretary for New and Renewable Energy S R Mohanty told. The electricity from the plant would be available at Rs 5.40 paise per unit, which would be the lowest in the country, Mohanty said. Indore - Public sector telecom major BSNL enjoys number one market position with 1.8 crore landline and broadband connections which amounts to 65 percent market share, a company official said Friday. "At present a total of 2.8 core landline and broadband users exist in the country and among them BSNL's share is 1.8 crore, which is 65 percent of the total market share," BSNL's Madhya Pradesh Circle Chief General Manager, N K Yadav told reporters. During the current financial year, the company expects an increase of 25 percent in broadband connections across the country, he said. Guna (Madhya Pradesh), July 7 : Reacting to the issue of Leader of Opposition (LoP), Congress leader Digvijay Singh said here on Monday that the Congress should definitely get the position of LoP and the government should take the initiative on this. He also criticised Bharatiya Janata Party (BJP) for purposely wanting the LoP position to remain vacant. "BJP and Prime Minster Narendra Modi want LoP position vacant so that they can form Lokpal with their own choice," said Singh. Khajuraho (Madhya Pradesh), June 21 : Union Minister Rajnath Singh , who is here on a short visit , defended inflation during Bharatiya Janata Party (BJP) rule, saying that policies are not made in 10-15 days. Answering questions from media representatives, he said, "I can assure that in coming years, country will be able to make out the difference between Congress and BJP. Madhya Pradesh people have seen the work of Congress and now they are seeing our work." He said, "Policy paralysis was there in UPA government," adding, "Measurement of our government's work cannot be done in some months." Bhopal, May 16 : BJP leader Sushma Swaraj, set to win from Vidisha in Madhya Pradesh, Friday attributed the thumping victory of the party in the Lok Sabha election to the hard work of the millions of BJP workers and the "able leadership of Narendra Modi". Sushma Swaraj, who is said to be no Modi camp follower, in a tweet said: "This victory is the result of hard labour of millions of BJP 'karyakartas', blessings of (Rashtriya Swayamsewak) Sangh and able leadership of Narendra Modi." "We receive this mandate of people of India with humility and gratitude," Sushma posted. Khandwa (Madhya Pradesh), Apr 17 : Congress Vice President Rahul Gandhi on Thursday said that in the ongoing Lok Sabha elections there is a battle between ideologies of the Congress Party and the Bharatiya Janata Party (BJP). Shivpuri, (Madhya Pradesh), Apr 5 : Taking a jibe at the Congress, Bharatiya Janata Party (BJP) prime ministerial candidate Narendra Modi on Saturday said that India needs a ' sevak' for its people not an arrogant government. Targeting Union Minister Jyotiraditya Scindia, Modi said, "Congress leaders are arrogant. I think it is the Congress trait that has made him arrogant." "Congress leaders should remember that the government is for the nation, and not for any one party," said Modi. State-owned power giant NTPC has announced its plans to set up two more projects in Madhya Pradesh, NTPC Chairman & Managing Director Arup Roy Choudhury announced on Wednesday. Mr. Choudhury made the announcement at the foundation stone laying ceremony of Gadarwara power plant. He said two more power plants would be set up at Khargone and Barethi in the state. He also assured that NTPC would stick to best environmental operational standards while developing the Gadarwara power project. Bhopal, Dec. 14, : Bharatiya Janata Party (BJP) leader Shivraj Singh Chouhan on Saturday will take oath as Chief Minister of Madhya Pradesh for the third consecutive time. The swearing in ceremony will be held at Jambooree Maidan around noon here. The ceremony will be attended by several senior BJP leaders including party's prime ministerial candidate Narendra Modi, and, party patriarch L. K. Advani. Goa Chief Minister Manohar Parrikar will also attend the ceremony along with newly elected Rajasthan Chief Minister Vasundhara Raje and Chhattisgarh Chief Minister Raman Singh. Pithampur (Madhya Pradesh), Dec 2 : Eicher Motors Monday unveiled 11 new products, both trucks and buses, in "Eicher Pro" series and the company plans to invest Rs. 700 crore more by 2014, Vinod Aggarwal, chief executive officer, VE Commercial Vehicles, said here. "We have 11 new products on display, which we will start rolling out from February 2014. In the next 18 months all the products will be on road in a phased manner," he told reporters after unveiling the products. He said the prices will be determined at the time of the launch. Gwalior, Nov. 25, : Congress leader Jyotiraditya Scindia said on Monday that he is confident about his party getting a majority to form the next government in Madhya Pradesh. "I have full confidence that people will vote for us, and that the Congress will form next government," he said. "A good percentage of voters are casting their votes. Elections are always competitive, and you can never take them lightly," he said. Khargone (Madhya Pradesh), Nov 15 : Congress President Sonia Gandhi Friday attacked the Bharatiya Janata Party (BJP), saying its leaders dream of coming to power even "during the day". "You must be knowing that BJP leaders nowadays dream of occupying the chair during the day also. They are so full of greed for the chair that they are even trying to denigrate each other," Sonia Gandhi said while addressing a rally here. She said that the Congress has never compromised on its principles for coming to power and will never do so. Sagar, Oct 24 : Congress vice president Rahul Gandhi Thursday continued his aggressive campaign against the BJP in poll-bound Madhya Pradesh, saying the ruling party in the state was far removed from the concerns of the poor. "The BJP's politics is the politics of air-conditioners and industrialists," Gandhi said, while addressing a rally in the backward Bundelkhand region of Madhya Pradesh. This is the second leg of his campaign in the state. Shahdol (Madhya Pradesh), Oct 17 : Congress vice president Rahul Gandhi said Thursday that his mother Sonia Gandhi was breathless when she was rushed from parliament to hospital two months ago. But although she was ill, "she was adamant that she wanted to vote in parliament" for the landmark Food Security Bill, which would ensure cheap food for the poor, Gandhi told an election rally here. It is the first time Rahul Gandhi has spoken publicly about his mother and Congress president's sudden illness while the Lok Sabha was debating the food bill Aug 26. Indore, Sep 1 - Spiritual guru Asaram Babu was arrested here late Saturday night by Jodhpur police over allegation of sexually assaulting a 16-year-old girl in his ashram, official sources said. "He has been arrested," a senior police official told IANS. Asaram was arrested after lengthy questioning in his ashram here, sources said, adding that he would be taken to Jodhpur. Indore, June 8 : President Pranab Mukherjee Saturday said that no Indian institution figures in the list of top 200 universities in the world and added that higher education does not have enough quality institutions. Addressing the first convocation of the Indian Institute of Technology, Indore, the president said that the drive to enhance the quality of education should engage the attention of policy makers alongside moves being made to increase the number of higher educational institutions.